New Delhi, April 15 (IANS) Bringing out the alliance talk in public domain, Congress President Rahul Gandhi and AAP chief Arvind Kejriwal on Monday blamed each other for the delay in forging an alliance between them in the national capital. "An alliance between the Congress and AAP in Delhi would mean the rout of the BJP. The Congress is willing to give up four Delhi seats to the AAP to ensure this. But Kejriwal has done yet another U turn! Our doors are still open, but the clock is running out," Gandhi said. 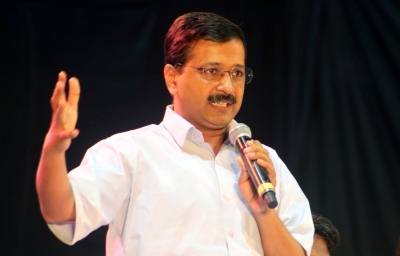 Responding to the tweet in Hindi, Kejriwal said he had not taken any U-turn and he feels sad over Gandhi's comments. "What U-turn? The talks are still going on. Your tweet shows that the alliance is not your wish but just a showoff. I feel sorry that you are making statements. Today, it is very important to save the country from the threat of the Modi-Shah duo. It is unfortunate that you are helping Modi by dividing the anti-Modi vote in UP and other states too," he said. The talks between the Congress and the AAP for an alliance in Delhi is said to be still on despite the AAP's insistence on an alliance in Haryana and Chandigarh as well.